Shibboleth is a word or custom whose variations in pronunciation or style can be used to differentiate members of ingroups from those of outgroups. Within the mindset of the ingroup, a connotation or value judgment of correct/incorrect or superior/inferior can be ascribed to the two variants. The term originates from the Hebrew word shibbólet (שִׁבֹּלֶת), which literally means the part of a plant containing grains, such as an ear of corn or a stalk of grain or, in different contexts, "stream, torrent". The modern usage derives from an account in the Hebrew Bible, in which pronunciation of this word was used to distinguish Ephraimites, whose dialect lacked a /ʃ/ phoneme (as in shoe), from Gileadites, whose dialect did include such a phoneme. Bible in: The Holy Bible, John Murray, 1872, p. 187. The tribes living on the east of Jordan, separated from their brethren on the west by the deep ravines and the rapid river, gradually came to adopt peculiar customs, and from mixing largely with the Moabites, Ishmaelites, and Ammonites to pronounce certain letters in such a manner as to distinguish them from the other tribes. Thus when the Ephraimites from the west invaded Gilead, and were defeated by the Gileadites under the leadership of Jephthah, and tried to escape by the "passages of the Jordan," the Gileadites seized the fords and would allow none to pass who could not pronounce "shibboleth" with a strong aspirate. This the fugitives were unable to do. They said "sibboleth," as the word was pronounced by the tribes on the west, and thus they were detected (Judg.12:1-6). Forty-two thousand were thus detected, and "Without reprieve,adjudged to death, for want of well-pronouncing shibboleth. Bible in: The Ultimate Bible Dictionary (Extended Annotated Edition) , Jazzybee Verlag, 2012 p.1078. Edawrd Dahlberg in: Quotes about Business, Quotations Book p. 8. Even socialists, Marxists, and revolutionaries seem to have lost their belief in the future; the old shibboleths come rolling off their lips, but it is as if they cannot keep the scales from dropping from their eyes. Joseph Epstein in: William Allison Shimer The American Scholar, Volume 51, United Chapters of Phi Beta Kappa, 1982, p. 152. Because there is something in the touch of flesh with flesh which abrogates, cuts sharp and straight across the devious intricate channels of decorous ordering, which enemies as well as lovers know because it makes them both:---touch and touch of that which is the citadel of the central I-Am's private own: not spirit, soul; the liquorish and ungirdled mind is anyone's to take in any any darkened hallway of this earthly tenement. But let flesh touch with flesh, and watch the fall of all the eggshell shibboleth of caste and color too. William Faulkner in: Rosa Coldfield Daughter of the Swan: Love and Knowledge in Eudora Welty's Fiction, University of Georgia Press, 1994, p. 32. The fish oil shibboleth is only the latest to be overturned in recent years. Vitamin supplements and fibre have also been found to provide no benefits. John Lahr in: Carolyn Howard-Johnson The Frugal Book Promoter, Star Publish, 2004, p. 147. The only shibboleth the West has is science. It is the premise of modernity and it defines itself as a rationality capable of, indeed requiring separation from politics, religion and reality, society. Modernisation is to work towards this. Class size is another shibboleth: First, small class sizes do not increase learning, and, second, class sizes have become quite small anyway. Jay Nordlinger in "The Anti-Excusers", in National Review quoted in: "Word of the Day"
For most of the well-to-do in the town, dinner was a shibboleth, its hour dividing mankind. Sir Osbert Sitwell in "Triple Fugue" quoted in : Herbert Raymond Mayes An Editor's Treasury: A Continuing Anthology of Prose, Verse, and Literary Curiosa, Part 1, Volume 2, Atheneum, 1968, p. 1696. It [“H” dropping in accents] has never been a characteristic of middle-class or upper-class speech: on the contrary, it is perhaps the strongest social shibboleth to exist in the accents of England. Today this book publishing shibboleth is a myth. L. A. Woods in: Merriam-Webster's Collegiate Dictionary: Eleventh Edition, Merriam-Webster, 2004, p. 1148. Shibboleth is a word or saying used by adherents of a party, sect, or belief and usually regarded by others as empty of real meaning. 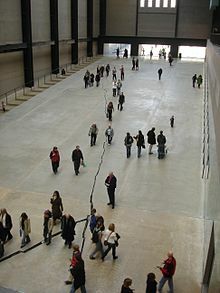 Shibboleth is a widely held belief. Shibboleth is a use of language regarded as distinctive of a particular group. It is a custom or usage [Shibboleth] regarded as distinguishing one group from others. We knew that their claim of giving “the best deal in town” was just a shibboleth. She repeated the old shibboleth that time heals all wounds. Hebrew shibbōleth stream; from the use of this word in Judg 12:6 as a test to distinguish Gileadites from Ephraimites. First Known Use is 1638. Adherence to standard grammar rules is no longer a shibboleth of either the educated or the the professional. A shibboleth is a test which separates friends from enemies, insiders from outsiders, the trustworthy from the suspect. After the English crown lost its grip on its French possessions, and France became an enemy, the English nobility began to speak English. But they still needed a shibboleth to separate themselves from the peasantry, and so they created their own English, the English of the privileged and the learned. This English had a grammar based on Latin, which is why it forbade structures natural to English, but foreign to Latin, such as the split infinitive (to boldly go) or the ending of a sentence with a preposition (the sort of arrant pedantry up with which Churchill reputedly refused to put). These particular latinate shibboleths are rarely insisted upon today in “standard” English, but grammatical shibboleths still abound; that is, linguistic conventions and usages that do not exist to convey meaning, but are recommended simply because they are “correct”. “Correct,” that is, not because they are necessary for communication to occur, but because they conform to an established standard. If you can tell what the author of the offending passage meant, then any lapses from the standard are matters of shibboleth, not essential meaning. If you can “correct” the passage without any doubt as to its meaning, then you are correcting violations of shibboleths. Label me as an “Old School” stickler, but I believe the quality of grammer you use when communicating with others says a lot about your character. I suppose there is a time and place for slang or the use of acronyms, emoticons etc., and I can deal with that. I can even understand that there might be mistakes in a translation. But when someone uses “then” when it should be “than”, I want to pull out the rest of my hair. I think this kind of misuse says “I don’t care enough to know which word is the right word to use” or “I wasn’t paying attention in grammer classes”. Either way, I sense a lack of professionalism. If you do not respect and obey the shibboleths of grammar, orthography, and style, people will not regard you as a professional. The function of these shibboleths is specifically to separate the professional from the unprofessional, just as classically their function was to separate the nobility from the peasantry. These shibboleths are no longer the shibboleths of professionalism, they are the shibboleths only of sticklers. In a sense, knowing that these latinate forms are now considered moribund is itself a kind of super-shibboleth, separating the grammatical elite from the common stickler. The simple fact is that people do not judge the reliability of community content by its grammatical purity, a shibboleth that is meaningless to them. They judge it by other measures, such as the grasp of the subject matter that the author displays, or the respect that the author has earned from other members of the community. This page was last edited on 4 September 2018, at 18:55.